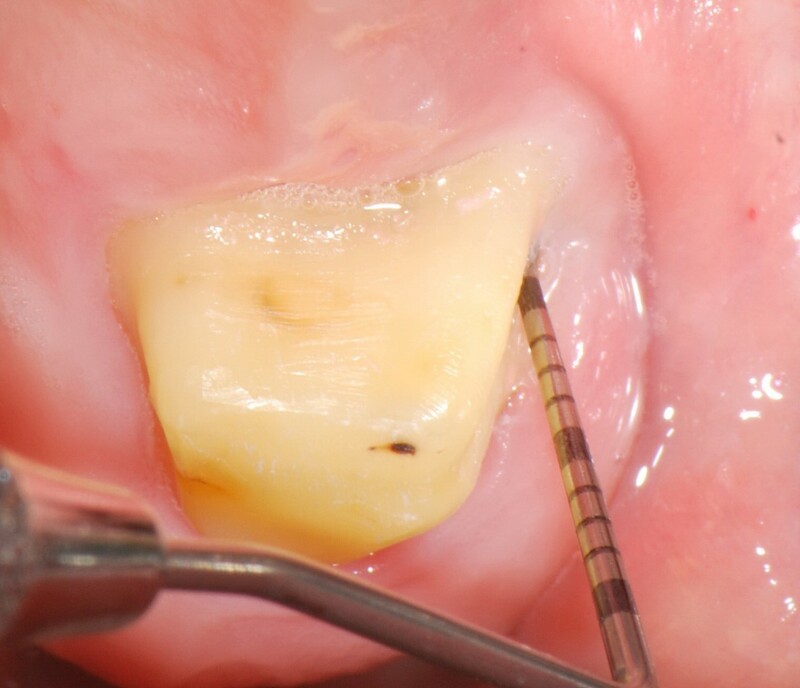 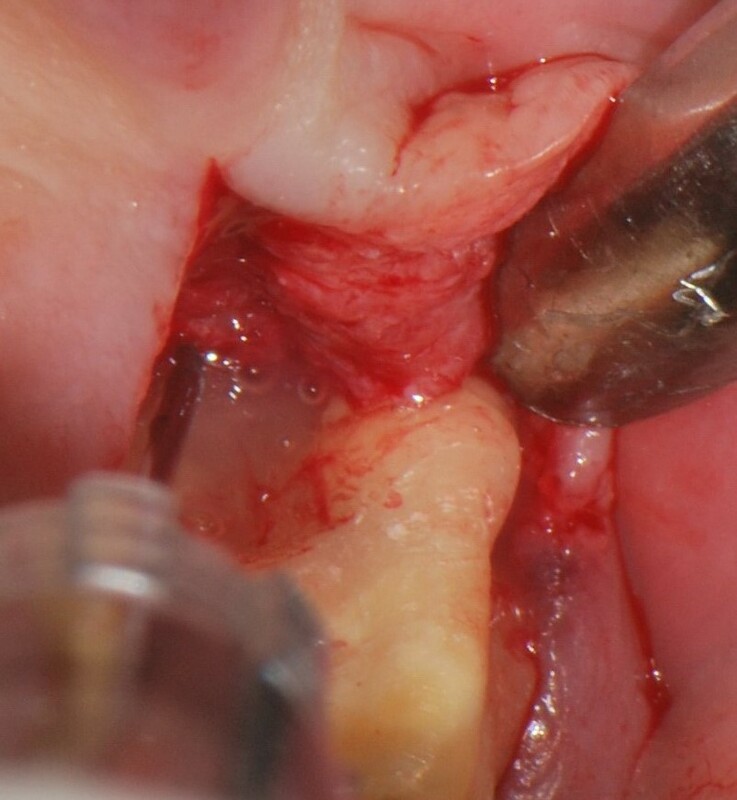 03/06 - Pre-surgical probing to determine furcation involvement. 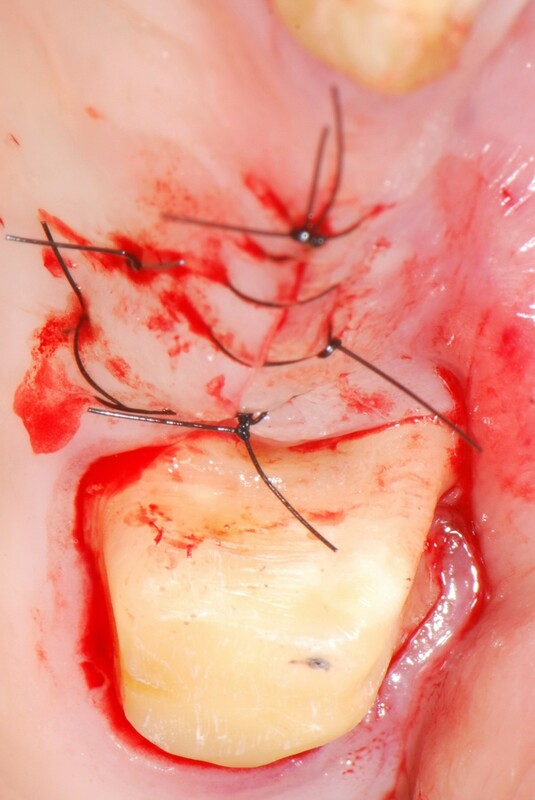 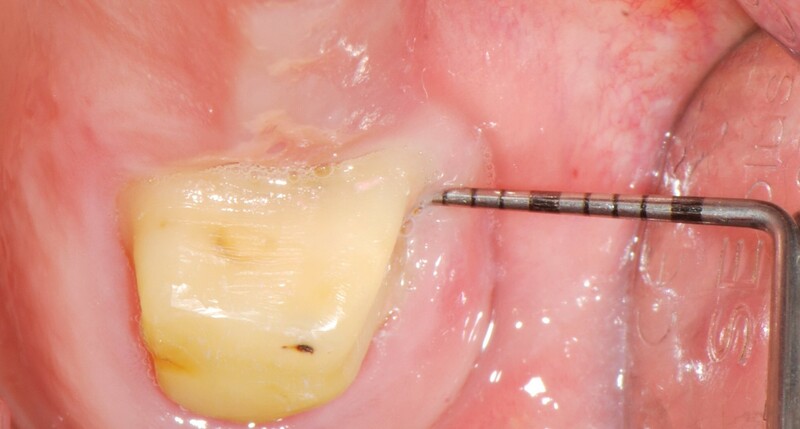 04/06 - Flap elevation by a midcrestal incision and application of Straumann® Emdogain® to the defect site. 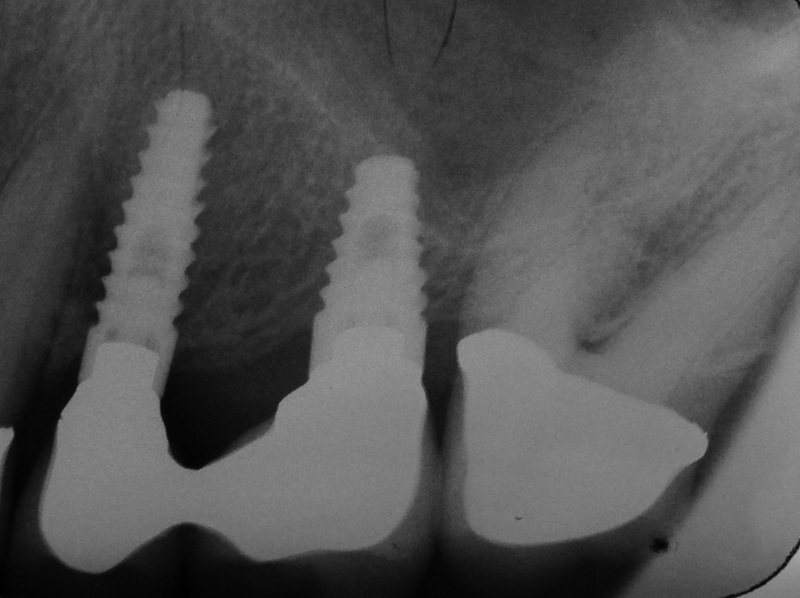 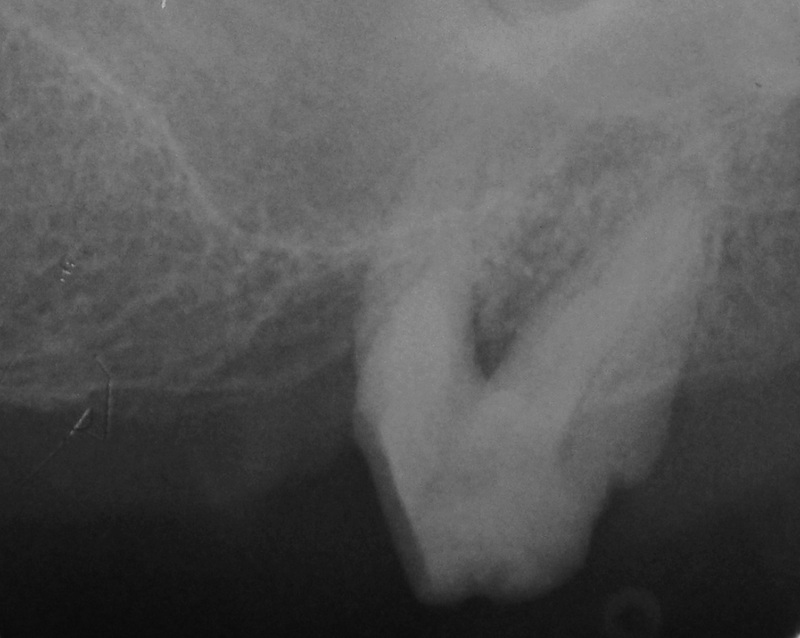 06/06 - Radiograph 5 years post-operative.